Welcome to Gun Funny, Episode 87. Today we’re going to chat with Douglas Yearout, I’m introducing a new segment, and we’ll talk about the Leupold Mark 5HD. I’m your host Ava Flanell. "I love it when you call me big pop-pa"
Prank call - Which organizations should I donate to? Jacob8787 - 5 Stars - Eva is a golden star - I figured I’d give this podcast a shot after Shawn promoted it on his other mediocre podcast. It’s great to have a female give her perspective on gun issues. I also enjoy Tate and his fake calls. Eva keep up the great work and Shawn just keep being mediocre at best. PS: Jeremy has two machine guns and you poors have zero. No more itunes reviews after this...dafuq?! Prank call - Get magazines to CA! Squash_edc - Great Firearms podcast - Love the podcast! Ava and Shawn are very knowledgeable and always have amazing guests! The prank call section is always good for a laugh but it needs one more thing. I will pledge $25 for the next 3 months on patreon if you prank call the poz and can get him mad enough to get that stateside! Love the show let’s make this deal happen!! Spdnbullitt - Gunfunny it is! - Boths hosts of this podcast are always talking sh&t about each other it’s really funny, probably one of the few podcasts I actually enjoy listening to while working a 50 hour work week! And the prank calls to the gun shops are relatable because walking into the gunshop myself I hear stupid questions like what they are asking. TwinsBeerLife - Awesome Show - Love listening to this show while I’m driving around for work. Don’t have much in the way of guns currently but this show is very informative and has given me lots of ideas for when I start buying! Keep up the great work and bring back Ricardo!! Welcome to Gun Funny, Episode 84. Today we’re going to chat with Dave from Silencer Shop, make a prank call about an unorthodox weapon for self defense, and talk about the Barrett 50 cal. Stone rm57 - 5 Stars - I thought I would hate it - I can across this podcast by accident and thought I would hate it. I thought “gun funny what the hell could this be?” But I gave it a listen anyway and I must say I am glad I did. I know of Shawn from other podcasts and typically don’t find him funny but with Ava on the show it is actually funny and entertaining. They have great interviews and play well off each other. It also nice to hear the New York accent from Ava. It’s always nice to hear a fellow New Yorker. Love the show. Welcome to Gun Funny, Episode 83. Today we’re going to chat with Reid Henrichs from Valor Ridge, Gertrude wants you to know she’s not as young as she used to be, and talk about optics. Cory H. - Recommended - Not only a great podcast to listen to, but it comes with a great community of fellow listeners. Ava is awesome and knowledgeable, and I guess Shawn is alright too after you get used to him! Kevin C. - Recommended - Gun funny is a hilarious show about a witty jewish women (Ava) getting revenge on the people that allowed heinous crimes to happen (Shawn). Lay off the white cake. 5 stars two, thumbs up and an entire hi point desk pop mag dump. That is how good it is. Cody A. - Great show on an awesome network. The dynamic that Shawn and Ava have brings so much life to the show. 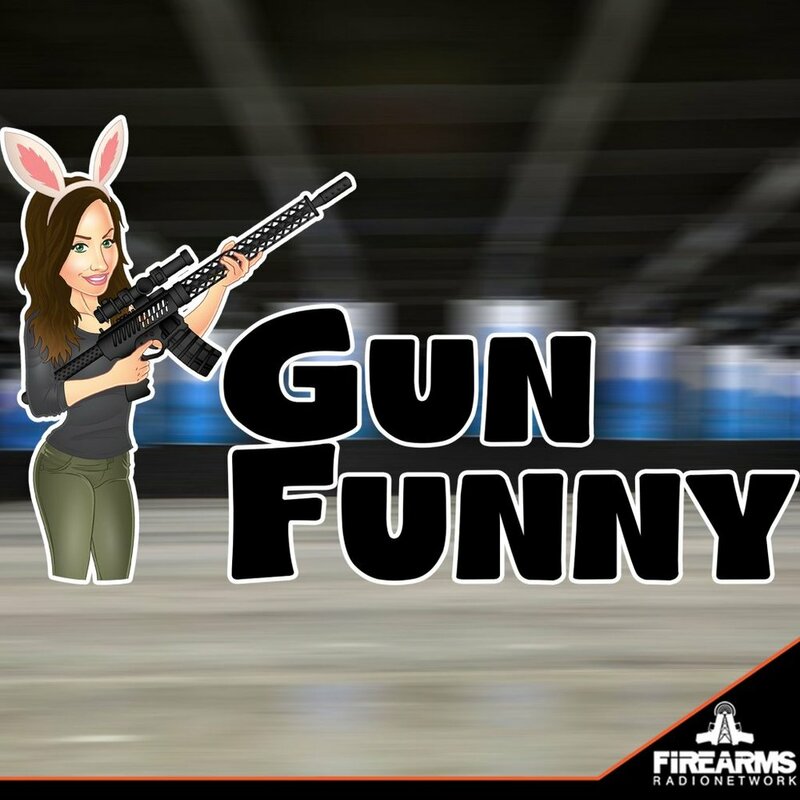 They feed well off each other and their personalities are infectious, which makes listening to the show a delight.This show is a great blend of humor and knowledge on the firearm industry. Between the shared experience of Ava, Shawn, and their guests, you can't help but gain a plethora of firearm knowledge. Welcome to Gun Funny, Episode 82. Today we’re going to chat with Corinne Mosher, make a prank call about well armed millennials, and talk about why women have a better success rate when taught by someone other than their family or spouse. Tacti-Talk - why women have a better success rate when taught by someone other than a spouse or family member. Jason B. - Recommended - great interviews in a relaxed format. Plus the prank calls are very funny. Jerry T. - Recommended - Great podcast. Lots of good content, the only downside is you can't see how gorgeous Ava is by just listening to it. Definitely worth adding to your playlist. Larry C. - Recommended - 5 Stars because they don't have 10. This podcast is absolutely great. With deconstructing the industry you learn about new and old companies with ties to the gun industry. These are great interviews and they last as long as they need to be to get the information out there. Their prank call segment is hilarious and always makes me laugh. Too bad Ava doesn't do more. Shawn should get an emmy for his calls. I love the information and the format in which this show is done in. I have listened to all the shows and even had to download because the crappy itunes didn't show old versions for a while. I anxiously await each new show that comes out. If you liked the "OLD" We Like Shooting Podcast, back when Lil was on then you will like this show as it reminds me of those days. I hate to say it but i don't listen to WLS like I used to but this show takes its place. Christopher D. - Recommended - They bring a lot of useful information to the general public to understand. Nate L. Recommended - Wonderfully different and not a “gun bunny” but a good take on what’s what, what’s cool, and what’s up! Elvin D. - Recommended - Great podcast. I look forward to what each week has to offer and am never disappointed. The Ava and Shawn duo complement each other perfectly. Shawn tries to be the serious one and Ava is the laid back, WTF-ever one, you never know what you're going to get with these two. The interviews with various industry business owners are very informative and bridges a bond with their brand. They always find down to earth business owners with great products. The prank calls are an added bonus, the way they stay in character to keep the call going is hilarious. I highly advise those that love the show to become a Patreon, the Patreon group page is on another level where no holds are barred. Ava, Shawn, keep up the good work. Rod L. - Recommended - This is a great pod cast informative! Loved the pod cast with @chargerarms. I’m from ks and just bought a suppressor from them went extremely easy. Shawn purdy much runs this show. And Ava wears the pants in the fam. Well atleast Shawn’s pants with a blue Alfa gear belt. Keep it up Ava you will become the leader sooner or later. Great podcast with hilarious hosts and awesome guests! Ava and Shawn go together like Betty Crocker and the word "moist". I enjoy listening every time (except for when Shawn says "dang!"). Oh, and the prank calls are cringe-worthy. Welcome to Gun Funny, Episode 79. Today we’re going to chat with Adam Kraut, make a prank call about plus sized body armor, and talk about Ava’s trip to Q. In the 1920s and 30s a famous Texas Ranger owned a set of pistols with no triggers. The guns are fired by cocking and releasing the hammers. The company Daisy Outdoor Products sold windmills and gave complementary BB guns with every purchase. The BB guns became so popular that they stopped selling windmills and started selling BB guns. Russian astronauts take guns into space to protect themselves against bears if they land off-course. Ryan M. - Recommended - Great to listen to when tooling away on the gun room, working, or on the road. I just wish iTunes had all the episode available(1-current) so I could hear the extreme awkwardness from the start to mild awkwardness the show is in its current state. If the show were a girl at the bar and I was a single man, 10/10 would smash. But since it’s not, I guess I’ll just have to smash that like button. Jackson S. - Recommended - Awesome show! Ava is great, Shawn is okay, haha! No he’s good too, but honestly I stopped listening to the other podcasts because I’m catching up on this one. Plus the discounts are better. Love all the people from the industry they have on. It’s awesome to hear from the different companies, you kind of feel like you know them once the shows over. The prank calls are hilarious but honestly I want to hear more from Gertrude. Loved the buying ammo instead of milk and eggs, what an ungrateful husband, haha. Keep up the good work. I also became a patreon, I suggest everyone else do the same. Rodin M. - Recommended - 5 Stars!!!! Ava and Shawn are great together. They keep it light hearted, while providing great information. There’s always a great guest lined up for them to interview. The prank calls are great! Highly recommend this one. Get it on your list and subscribe! Makes high end jewelry out of ammo casings. -President Garfield's assassin (Charles J. Guiteau) chose an ivory-handled gun over a similar wooden-handled model because he knew it would look better in a museum exhibit. -Hunter S Thompson refused to go on Conan O'Brien show until he finally agreed on one condition. Conan had to meet him on a remote farm to drink hard liquor and shoot guns. -The filmmakers of "Lord of War" used a real stockpile of over 3,000 AK-47s because it was cheaper than getting prop guns. Prank call - Too weak! Josh M. - Recommended - This show is absolutely amazing. If you like firearms this is the podcast for you. The host Ava flannel and her crazy sidekick Shawn heroin really know their stuff. They also have some of the best prank calls you will ever hear (if you are 12 and have autism which Shawn might) but on a serious note great podcast, great people and you’re guaranteed to learn something about the industry and have a laugh every episode. Keep up the great work guys!! Welcome to Gun Funny, Episode 76. Today we’re going to chat with Craig DeLuz from Firearms Policy Coalition, on our prank call, Balthazar is looking for a holster, and we’ll talk about the Magazine Advanced Release System. TriniHope - 5 Stars - Awesome Show - Just recently started listening. Subscribed out the gate. Yosarian497 - 5 Stars - Best Podcast. - This is easily one of the better podcasts. Good interviews. Looking forward to more calls. When are you gonna call rivers edge tactical? Jan209 - 5 Stars - A coal in a pile of diamonds - Found this podcast after elite firearms and training followed me on IG. Seeing Ava on the IG page got my hopes up on another gun bunny page but sadly I was disappointed by the lack of distasteful content. The podcast though is great as background noise on my work commute and I will be catching up on all the episodes so I can listen to the WLS podcast when I’m actually not busy with other things. Valentine’s Day is right around the corner. Get your girlfriend or wife 2A Jewels. Made from gold and diamonds. Perfect to wear for any occasion. Welcome to Gun Funny, Episode 75. Today we’re going to chat with Fred Mastison from Force Options, make a prank call about Malcolm’s appendicitis, and talk about some new pistols for 2019. Prank call - Malcolm needs an alternative way to carry. Reevsie45 - 5 Stars - Great show! - Great show! Really enjoy all the content and makes long drives bearable. Jeremy j. Pearson - 5 Stars - Two Guns Up! - It is like Sibling Rivalry meets War of the Roses. The banter between Ava and Shawn are like brother and sister or exes who are forced to work together, who happen to still get along. They keep it fun and informative and the pranks don't stank. Keep the fun coming and I will keep listening. PS - If you aren’t a Patreon, you are just wrong. From now until Valentine’s Day, mention Gun Funny when you place your order and you’ll receive 10% off. Welcome to Gun Funny, Episode 73. Today we’re going to chat with Jacki Billings, make a prank call about a product invention, and talk about small guns. Tacti-Talk - Are small guns great for beginners? HopsandHollowPoints - 5 Stars - The total package-without the ecoli! - It’s refreshing listening to a gun related podcast that isn’t full of mouthbreathing threepers that can’t keep up with the gun industry let alone keep from spitting when they talk. Glad we can all have fun and not take the shooting world so seriously. 7/5 would shop here again. RunningWolfTx - 5 Stars - Gun funny is way better than WLS - Love this podcast. Ava and her man slave deliver a very informational and hilarious podcast that is full of rabbit holes, amazing guests, and knowledgeable hosts. Ava gives a great women’s prospective to a male dominate community, and Shawn has his ear to the ground with his many podcasts that gives him the ability to be on the forefront of what is going on. This is a great podcast to listen to while heading in to work or the house. I especially love hearing the prank calls. *Check out 2A Jewels on FB and IG for some really nice, well-made 2nd Amendment Jewelry. GF 072 - Have fun! Welcome to Gun Funny, Episode 72. Today’s going to be a little different than our usual shows. Instead of having one guest, we’ve invited some of our patreons to chat with us about a few requested topics. On today’s panel we have Shawn Herrin and I’m Ava Flanell. Ava and Shawn have such an easy relationship with each other, plus they drink while podcasting, that they set each and every guest at ease. The guest can relax and just be real and themselves, showing the listeners how much they care for the Firearms industry and that they want to share and spread that burning passion to everyone . Oh wait, that’s Shawn that likes spreading the burning sensation. Anyway, it is amazing to hear about all the passionate manufacturers out there. And the incredible technology and r&d that goes into the really good suppressors. The prank calls are all always fun. And while I’m sure there are not so nice people out there, it is comforting to hear how many gun store employees are willing to help how they can. I’ve enjoyed each show and play the podcast as soon as it downloads. Bjgg1474/($(; - 5 Stars - Great show - Love the show. Nice mix of competition and general knowledge. Didn’t think I’d like the prank calls at first but they keep getting better. the more uncomfortable Shawn gets the better! Ava got the rose gold necklace for Xmas! Welcome to Gun Funny, Episode 71. Today we’re going to chat with Alex Bosco from SB Tactical, make a prank call about Gertrude’s get rich quick scheme, and talk about bump stocks. -What’s next? What precedent does this set? -14th Amendment - nor shall any state deprive any person of life, liberty, or property, without due process of law; nor deny to any person within its jurisdiction the equal protection of the laws. Squatty Bob - 5 Stars - Best podcast to shave grandpa’s back to. - The podcast is great. It would be better if Tickles could replace the one host named Kyle or what ever. Anyway, more Tickles. DJ87558 - 5 Stars - Pronunciation matters - This podcast gets 5 stars because they know how to pronounce ambidextrous. Wasn’t sure about it at first but it is definitely growing on me. The statements they make are factual and the guest they bring on the show are great. I have only listen to half a dozen episodes and picked up two more podcasts from the people they have interviewed. Bullogna Hunter - 5 Stars - My new fav Ava Flave & her trusty sidekick S.H. in the place - They got their fingers on the pulse what’s going on with some some lighthearted laughs mixed in. Featuring guest like Michael Bane & Xena Amirana of March for our Rights. 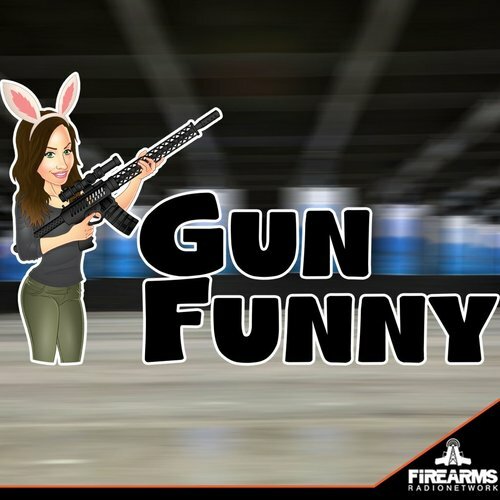 Give Gun Funny a listen. It’s the podcast you have been looking for. Welcome to Gun Funny, Episode 70. Today we’re going to chat with Evan Green from Griffin Armament, make a prank call about unisex guns, and talk about my trip to Falkor Defense. YankeeScott15 - 5 Stars - Good - If it wasn’t for Mr. Gunsngear I’d have no clue this show was out there!! EscapedCaliToTexas - 5 Stars - I was pleasantly surprised - I honestly thought I was going to hate this podcast. When I heard that this podcast was being released, I expected a sophomoric string of prank calls that would grow old quickly. You can imagine my surprise when I discovered that the show actually has content and the prank calls are actually icing on the cake as opposed to old, dry, white cake. They have great guests that provide fantastic insight into the gun industry and Ava and Shawn bring out the best in those guests. Give it a listen. Like me, I’m sure you’ll find that it is much more interesting and informative than you first imagined.